IMPORTANT: You can only upgrade if you have already purchased a NON-REFUNDABLE I'M ALL IN reservation. 1) An additional $225 toward your Elio. 2) You will receive a "Spot in Line" email that specifies and confirms your position by number in the coming weeks. 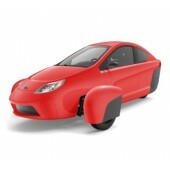 1) An additional $187.50 toward your Elio. 1) An additional $125 towards your Elio.